“Dear Diary…” Trump wrote, quoting Acosta’s tweet about a steel barrier and the safe community on the other side of the border slat wall. The Acosta tweet Trump referenced showed the CNN White House Correspondent at the border pointing to where the steel slats gave way to chain link fencing and talking about the safe neighborhood on the U.S. side of the border. As he stood by the chain link fencing, he said people do see migrants come over the border there. 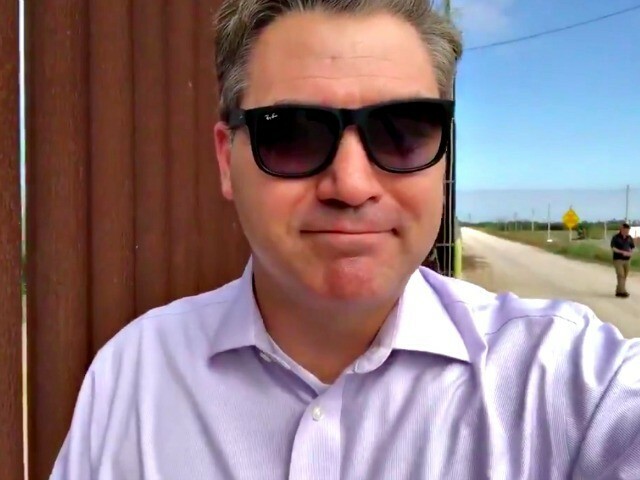 Acosta tweeted video of himself at a steel slat border wall Thursday morning, stating that there was no national emergency there. The remarks sent social media abuzz pointing to the success of a barrier making an area safe. President Trump made a trip to the U.S. southern border in McAllen, Texas, on Thursday. There he held a roundtable on immigration and border security and took a tour of the border with Border Patrol and law enforcement officials. Trump tweeted “walls work” on Sunday. The comment was part of two tweets quoting Barack Obama and Hillary Clinton on the importance of preventing illegal immigration. Trump has been advocating for $5.7 billion in border security and wall funding as the Democrats refuse to negotiate and the government remains in the third week of a partial shutdown.